. On the Island of Inishool, with Malachy’s Island in the background. To the the left is Kingsmill Moore. Senator, High Court Judge, fisherman and author. He is accompanied by Jamesie and Bill Donnellan, both of whom are mentioned in his famous book “A Man May Fish”. 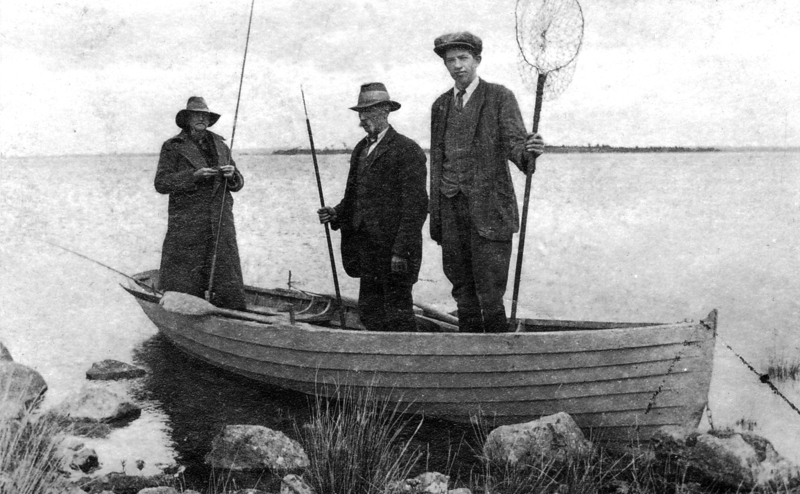 Kingsmill Moore stated “what fishing has meant and means to me may be summarised in a plea, and a protest. A protest against the itch to make records….the desire to go one better than the next man; a plea that fishing should be not so much a pursuit as a pleasure”.